There is currently no cure for arthritis. But research is finding that natural lifestyle changes can be very effective in reducing pain. The Arthritis Foundation estimates that 1 in every 5 adults is living with arthritis. With 100 different types of arthritis, the condition is almost as complicated to understand as its various symptoms, which include swelling, stiffness, pain, and decreased range of motion. Symptoms may come and go, remain consistent, or progress with age. Pain can become severe. Get insights on how to relieve arthritis pain naturally. Both the exercise and dietary components of the Pritikin health retreat work together to relieve the pain of arthritis naturally, including its two most common forms – osteoarthritis and rheumatoid arthritis. Though conditions can vary widely, arthritis is essentially the inflammation of joints. Osteoarthritis is the most common form of arthritis. It is caused when the protective, cushioned cartilage of the bones wears away. With little to protect bone rubbing against bone, even simple daily activities become nearly impossible to do without sharp pain. Rheumatoid arthritis causes the body’s immune system to mistakenly attack its own joints, which leads to erosion of joints. The Arthritis Foundation concludes that keeping a healthy weight and engaging in physical activity are crucial for maintaining joint function and quality of life. Though the Arthritis Foundation acknowledges that there is much we still do not know about the disease, it does assert that keeping a healthy weight and engaging in physical activity are crucial for maintaining joint function and quality of life. And that is exactly how a health retreat at Pritikin Longevity Center can help relieve the symptoms of arthritis. Historically, practices for reducing symptoms of arthritis have focused on drugs. However, more and more research is pointing to non-medical treatments such as weight loss, diet changes, and exercise that can help to dramatically improve symptoms of arthritis. According to the the National Institutes of Health MedlinePlus magazine, researchers in the field are very encouraged by the results that lifestyle changes can have on arthritis. They’re not alone. 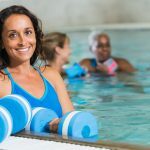 “Both the exercise and dietary components of the Pritikin Program should help with arthritis, including its two most common forms – osteoarthritis and rheumatoid arthritis,” states UCLA researcher Dr. James Barnard, author of more than 200 studies on the effectiveness of healthy lifestyle change, including the Pritikin Program, for preventing and controlling many chronic illnesses. The wellness retreat offered at Pritikin provides guests with the tools to make these kinds of lifestyle changes. Carrying excess weight puts more pressure on your joints, which can lead to increased pain and swelling if you have arthritis. 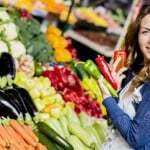 According to MedlinePlus, weight loss is one of the most favorable lifestyle changes one living with arthritis, especially osteoarthritis, can make. In fact, NIH-funded research published in Arthritis & Rheumatism found a significant difference in the pressure on joints after weight loss. For every one pound of weight lost, four pounds of pressure was removed from the joint. That’s good news for guests who come to Pritikin, one of the leading centers for promoting healthy, long-term weight loss. Research on more than 4,500 people who came to the Pritikin Longevity Center found that weight loss averaged 11 pounds for men and 7 pounds for women within three weeks of beginning the Pritikin Program. Lou A. experienced Pritikin’s transformative weight-loss program first-hand. When the 67-year-old real estate developer arrived at Pritikin, he was living with arthritic-related pain so severe that it interfered with walking very short distances – no more than 100 steps. But after one month at Pritikin, he felt so good he was running. Today, he’s 30 pounds lighter, and 95% of his arthritic-related pain has vanished. When 52-year-old Pritikin guest Judi M. first arrived for her Pritikin health retreat in Miami, she was unsure of what Pritikin would do for her. Living with rheumatoid arthritis pain had left her almost inactive, very fearful of injury, and 20 pounds heavier. In her initial meeting, the advice was simple: Don’t eat anything that comes from a cow. That meant eliminating foods like milk, cheese, and red meat, as these foods are known to be inflammatory for people with joint problems. Instead, a diet packed with anti-inflammatory foods is best. Leafy greens, omega-3 fatty acids, legumes, fruits, and vegetables are some of the recommendations from the Arthritis Foundation – all of which are plentiful at Pritikin. “It turned out to be practically a miracle for me. My physician at Pritikin was very knowledgeable about rheumatoid arthritis,” she said. The Pritikin Eating Plan, the supportive and encouraging staff, and the customized fitness plan all helped Judi start living in a new way. Not only did she stop letting her arthritis define her, but within the next year she had lost 22 pounds and was feeling better than she had in years. For those living with osteoarthritis or rheumatoid arthritis, the thought of even just walking may feel painful. However, regular physical activity and movement can do wonders to naturally alleviate many of the accompanying symptoms of the disease. “In fact, exercise is considered the most effective non-drug treatment for reducing pain and improving movement in patients with osteoarthritis,” the Arthritis Foundation states. 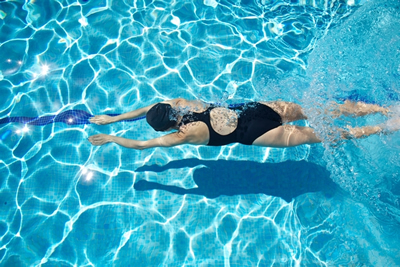 Swimming is a great joint-friendly form of exercise for those living with arthritis. Flexibility exercises that improve range of motion, cardiovascular workouts like walking and water aerobics, and strengthening exercises are all forms of physical activity that may help to improve the function of joints and reduce pain and swelling. At Pritikin, there are a number of joint-friendly forms of exercise that, when practiced regularly, may also help to strengthen muscles, bones, and joints that have been weakened from arthritis. Summing Up | Can a Health Retreat Help Relieve Arthritis Pain? Yes, if the health retreat, like the Pritikin Longevity Center’s, offers training in lifestyle skills scientifically proven to be beneficial for arthritis pain relief. While there is still no cure for arthritis, a stay at Pritikin can help to significantly lower and ease the painful symptoms. You may leave feeling lighter, stronger, and years younger.